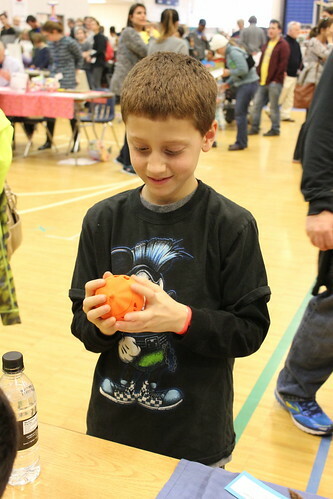 Maker Faire Nova 2015 – Takeaways From My First Maker Faire! 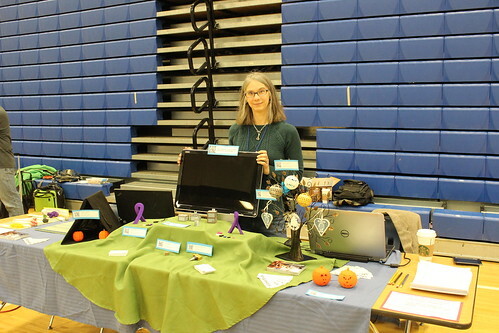 This past weekend, I had a booth at my very first Maker Faire! 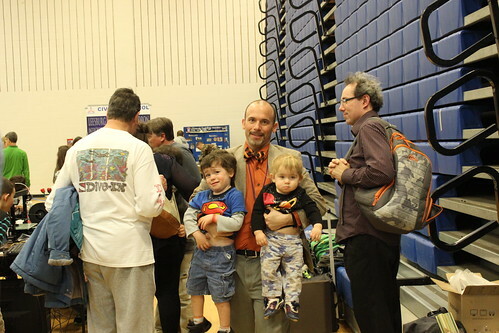 The Nova Mini Maker Faire in Reston, Virginia. My booth focused on my 3D Prints made with Blender (for 3D Modeling) and Shapeways (for 3D Printing). 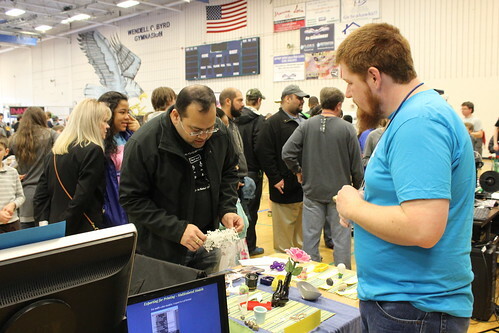 Since I was giving a speech on “3D Printing without Owning a 3D Printer” in the afternoon, I also had a small section of my table dedicated to compliment that speech and to let people know that they could 3D print that day without owning a printer or knowing a thing about modeling. 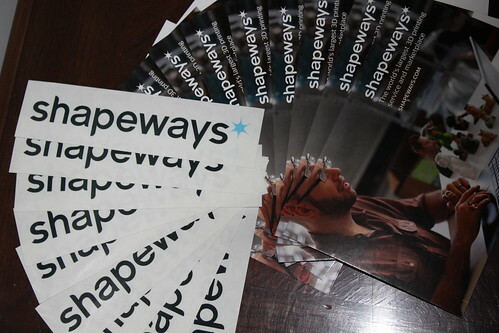 Finally, I had a special guest at my booth– an employee from the one and only Shapeways! I had a section of my booth set aside for his handiwork as well. It was an absolutely fantastic time and as with all first experiences, I learned a little along the way. Here are a couple of Do’s and Don’ts I came away with. At the informational meeting, the organizers stressed that they want Makers of all levels. You didn’t have to be an expert or a professional. 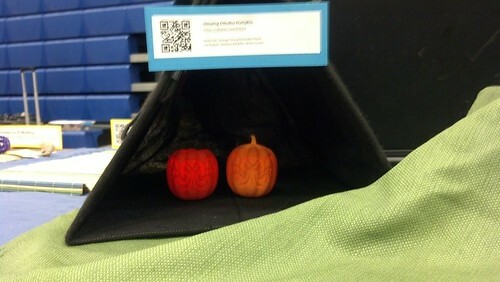 Reinforcing that concept, the NoVa Mini Maker Faire kept posting a badge saying, “We are All Makers” and they mean it. But the environment of the Maker Faire isn’t like that at all. People are enthusiastic, people are curious, and people are very very very nice. It’s like the Comment thread of Instructables. Leading up to the Faire, I emailed both Shapeways and 3DHubs to let them know what I was doing. In both cases, the companies were excited and supportive and sent me giveaways for my booth! So I had some nice stickers and postcards for people to take! And then get this! 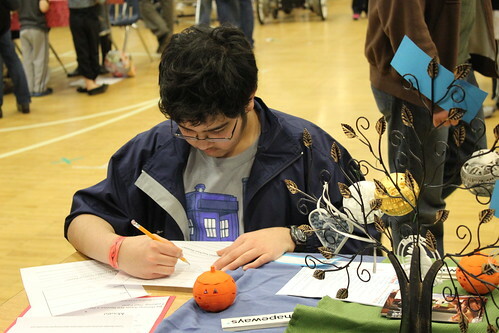 The Community Advocate from Shapeways, Michael, came down to our faire and helped with the booth. As busy as the faire was, it was great to have an extra voice there. 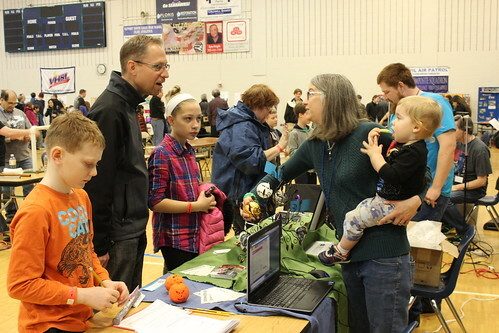 He brought a good sampling of products as well which only further showcased the capabilities of Shapeways and 3D Printing! Similarly, I had a great experience prepping for the “3D Printing without Owning a 3D Printer” speech. I found everyone to be very generous with questions I had. From NovaLabs to the Virginia Tech Northern Virginia Center MakerLabClub to Ara’s Hub (through 3DHubs) to PrintedSolid, everyone was happy to help me with information. Don’t be afraid of looking like an idiot. If you have questions, ask! We staged everything ahead of time on my Mom’s dining room table. This made it very easy for us to know what else to pack (extension cord, monitor cables, mounting goo, tablecloths, signs, packing tape, etc). My forte doesn’t lie with decoration, so I recruited my Mom. 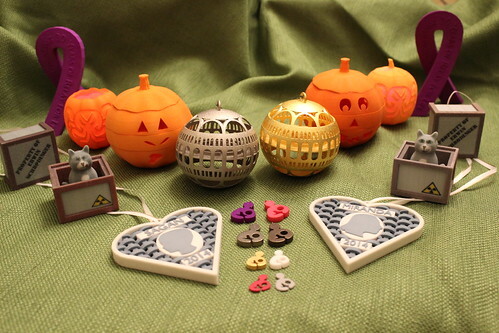 She instantly had suggestions for tablecloths, how to display the Christmas ornaments (a metal tree she had in her room) and a little dark cove to showcase the glowing Cthulhu Jack-O-Lanterns (a collapsible grocery crate she had in her car). Not only that, she was a key supply gatherer. I mentioned I needed something to sticky to mount my signs. The very next morning, I woke up and found some sticky goo in my staging area. 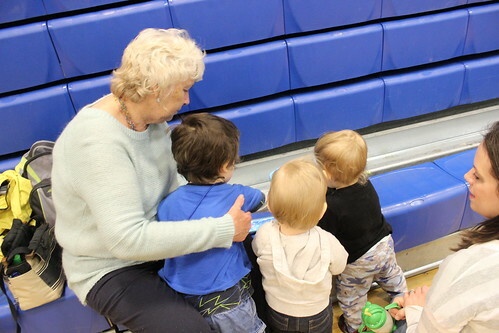 My Mom was a big help. I also recruited people to help me with some first hand research for the “3D Printing without a 3D Printer” talk. My Mom designed a puppy through Pupworkshop. My sister-in-law drew an angel we printed via the Shapeways’ 2D to 3D App. 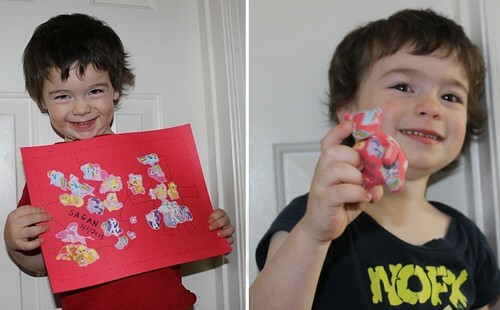 Finally, my three year old even accrued a personalized 3D object by making a Color Me Teddy. Like most Shapeways shop owners, I have Google Analytics enabled gathering data about my referrals and traffic. But you know what is even better? Watching people’s eyes light up. 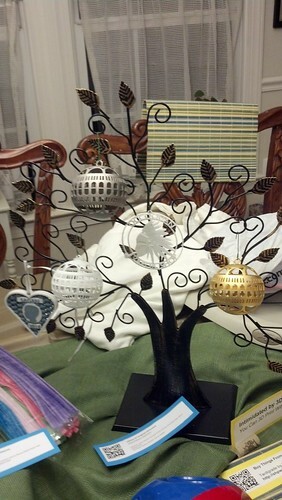 Watching people revel in how beautiful the Library of Congress ornament is or laughing when they get Schrodinger’s Cat. You get instant feedback on how people are responding to your designs. And some of the lessons may be surprising. Over the holiday break, I was playing with Python scripting for Blender to make customized Cancer Ribbons. I was thinking people would like an interface to order ribbons “In Honor Of” or “In Memory Of” their loved ones sort of like Relay for Life Luminaries. 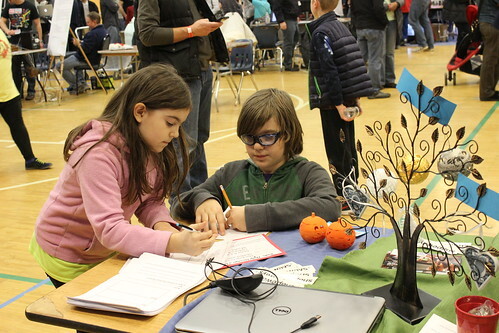 But watching the response at the Faire, if I do put time towards automating something through code, I may want to focus on faces for the Dial-O-Lantern. That got an overwhelmingly larger response at the faire. 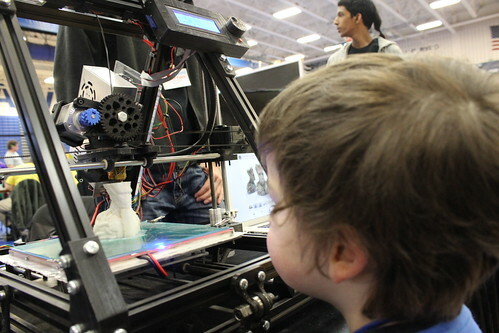 The Maker Faire is family friendly, which meant we were able to bring our boys. At times, I had a cute accessory as I worked my booth. Related to the Family Friendly aspect of the event, do have an activity for kids. 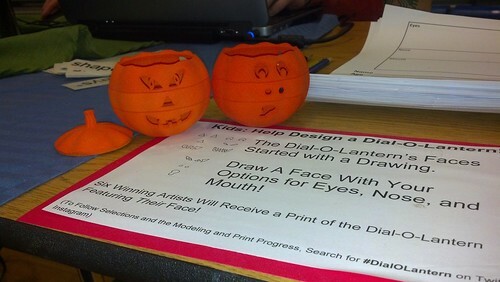 In my case, I went with a contest for the Dial-O-Lantern! 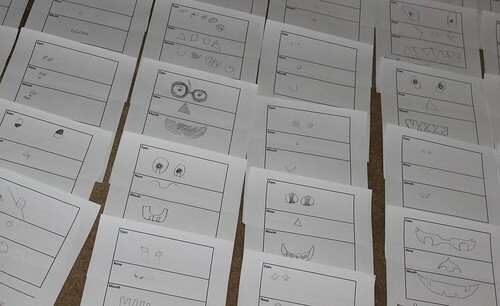 My faces actually started as drawings, so we invited kids to draw faces for a new Dial-O-Lantern. We’re picking six winning faces (We have it narrowed down to finalists right now!) and sending each winning child a print that includes their face. This turned out to be a good activity. The amount of entries exceeded our expectations (and makes selecting the winners a tough task). Although you are getting first hand feedback from your booth visitors, be sure to keep an eye on Social Media as well. I got a HUGE thrill walking between buildings when I saw that the Editor-in-Chief of Geek Dad appreciated and tweeted my Schrodinger’s Cat. Geek Dad! We have Geek Dad books on our bookshelf! 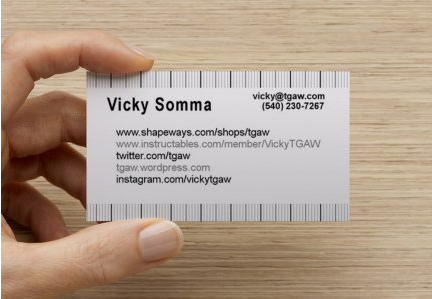 The day before the faire, I actually picked up some quickie business cards from Staples. And here’s the thing. I designed those cards assuming there would be a lot of leftovers. At the top and bottom I included lines for every millimeter. Why? When I’m designing 3D models, I am constantly measuring things and getting out rulers to gauge how big I want to make something. But rulers are also popular with my boys, so it seems they are frequently misplaced. So I figured if I was going to have a bunch of unused business cards around, I might as well make them handy. And although I do have a few I can use for measurement, I don’t have nearly as much leftover business cards as I expected! I was very surprised by how many business cards people snatched up. I printed QR codes for pretty much everything. My presentations were both put online (Prezi and SlideShare respectively). I used BufferApp to “live tweet” links during my talk (Hat Tip, Jess Hedstrom). 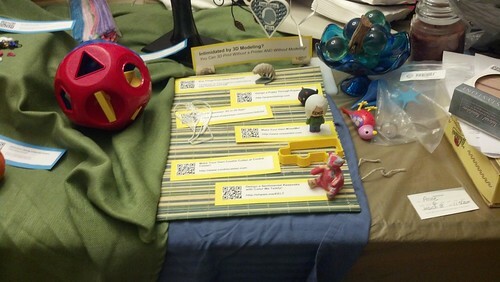 I coordinated with the Nova Mini Maker Faire so all the links from my PowerPoint were easy to find on their blog. You want people to learn more– make it as easy as possible! Those are my take-aways from my very first Maker Faire. It was an absolutely fantastic time. I can hardly wait for next year! You can read more about the NoVa Mini Maker Faire on their blog at http://www.makerfairenova.com. More of our photos from the event are on Flickr. Entry filed under: 3D Printing, Blender, Shapeways.